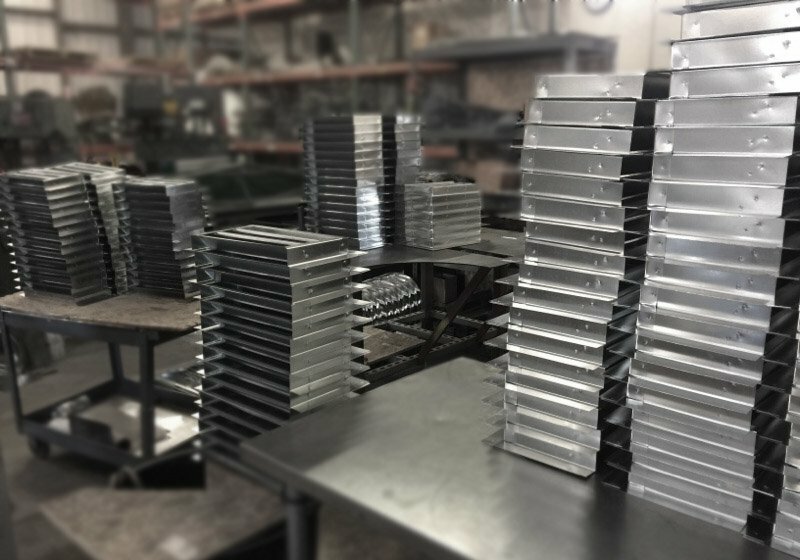 Our eave vents are fire-resistant, with intumescent coating that closes at very high (flame) temperatures and ember catching mesh. Especially recommended for the Wildland Urban Interface! To effectively cool the attic outside air needs to circulate through it. In the evening when excess heat is stored up inside the attic’s insulation, it’s critical to quickly release that heat for the night to consequently save on cooling and venting costs. Models with cut sheets currently available will have live links to PDF documents. You will need the latest version of your PDF reader. RT=Reverse tabs (for eaves with tabs for rafter and trusses). Shown: Eaves and gables on the assembly line. Eave vents listed without the suffix of FC, S, SMC, FF or with an ‘RT’ are made for truss and/or rafter installation which commonly have imprecise gaps.